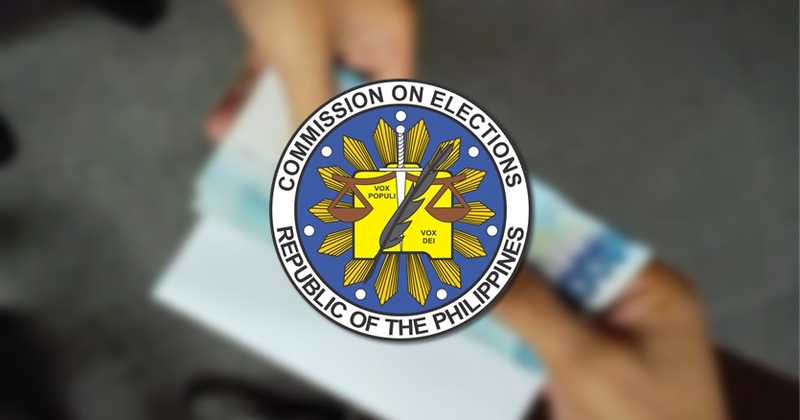 Almost 30,000 candidates in the upcoming synchronized barangay and Sangguniang Kabataan elections in Bohol may just be too huge a number for the Commission on Elections (Comelec) to monitor for violation of election laws. Aside from the number, every violation needs pieces of evidence to support it for prosecution to prosper not to mention willing witnesses. This was explained by Provincial Election Supervisor Eliseo Labaria. Labaria pointed out that they follow due process in prosecuting election offenses as he also encouraged the public to help the Comelec by being vigilant in monitoring violations in their areas. In cases of those caught in the act by roving police officers, the police officers will then be part of the prosecution team. In these cases, private complainants will no longer be necessary because it will be the state that will stand in lieu of them. Labaria explained that Comelec people cannot just prosecute any candidate violating election laws without any individual helping them with the pieces of evidence. The provincial election supervisor said they just have to follow due process and it needs witnesses to support the complaints, supported by evidence, for them to be able to pursue against erring candidates which are the top concerns in any election. He said the Comelec is calling on the people to help them monitor against vote-buying and illegal campaign materials. Labaria also said the candidates to whom the illegal campaign materials benefit are presumed to be liable for the violations until proven otherwise. He elaborated that the presumption is that the candidate whose face appears on the campaign material is the one behind its posting or distribution. Comelec also deploys teams to monitor campaign materials that are larger than the prescribed size and those that are posted outside the designated areas, he added. In the case of vote-buying, it is presumed that the candidate’s name appearing on the piece of paper or campaign material attached to the money is the one causing the distribution of the money to voters to buy votes in his favor. Labaria encouraged the voters to present the money attached to the campaign materials of the candidates as evidence. However, Labaria admitted it has been difficult on their part to get the cooperation of the public on this matter, based on their experience in the past elections. Labaria added that it is also difficult to identify any act of higher officials endorsing barangay candidates that tend to make the barangay and SK elections non-partisan. The prohibited acts related to elections include vote-buying and vote-selling as provided in Section 261(c) of Omnibus Election Code (OEC). Here, not only the candidates can be held liable, but also voters who sell their votes just to earn money. Under Section 83 of the OEC also prohibits “removing, destroying, obliterating, defacing, tampering or preventing distribution of lawful election propaganda”. It is also prohibited to raise funds “through dances, lotteries, cockfights,” and other similar acts, under Section 97 of the OEC. It is also unlawful for any person to hold dances, lotteries, cockfights, games, boxing bouts, bingo, beauty contests, entertainments or other performances to raise funds for an election campaign, which will be on May 4 to May 12”. Under Section 104 of the OEC, it is also prohibited to make “any donation or gift in cash or in kind”. Another prohibited act is the “alteration of territory of a precinct or establishment of a new precinct” under Section 5 of R.A. 8189 or “The Voter’s Registration Act of 1996”. Section 6 of RA 8189 provides that “every barangay shall have at least one (1) precinct. Each precinct, shall have no more than two hundred (200) voters and shall comprise contiguous and compact territories”. Other prohibited acts are “use of security personnel or bodyguards by candidates” except for “candidates with risk exposure”; “coercing, threatening, intimidating or terrorizing any election official or employee in the performance of his election functions or duties; transfer or detail of officers and employees in the civil service including public school teachers; organizing or maintaining reaction forces, strike forces or similar forces; and “suspension of any…barangay officer”. Records at the Comelec provincial office in Bohol show that there are 28,205 who had filed Certificates of Candidacy. Of the number, there are 2,043 who filed COCs for the position of barangay captain and 15,455 for barangay kagawad. There are 2,034 candidates for the position of SK chairperson and 8,673 for SK kagawad.